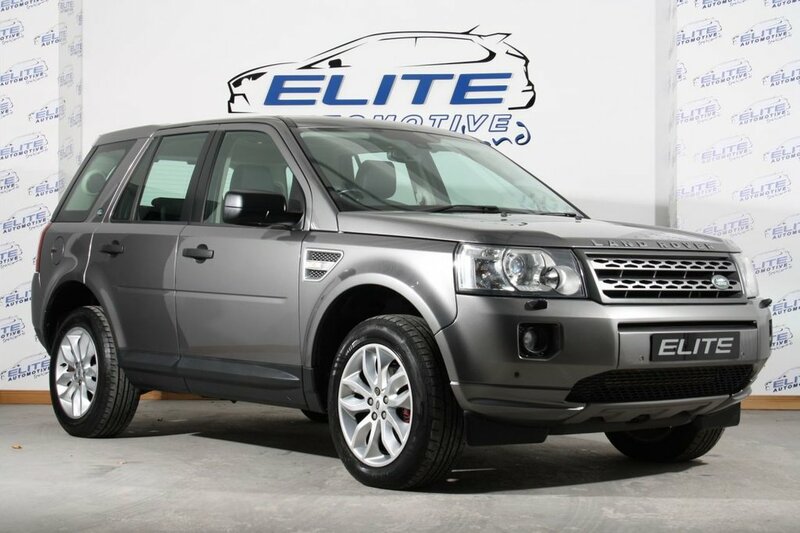 Elite are delighted to offer to the market this immaculate Landrover Freelander HSE 2.2 Turbo Diesel Auto finished in Stornoway Grey with Full Service History and 83000 miles on the clock! This car features an amazing spec from the factory which includes: Full Leather, Electric Driver and Passenger Seats with Seat Heating, Electric Sunroof, Park Assist and Sat Nav plus much more ! Call today to arrange a viewing of this immaculate 4x4! ALL OUR CARS ARE HAND PICKED AND HPI CLEAR ENSUING COMPLETE CUSTOMER SATISFACTION - WE ONLY SELL CARS WE WOULD DRIVE OURSELVES! !